So many people ask about my decor at Hilltop House. 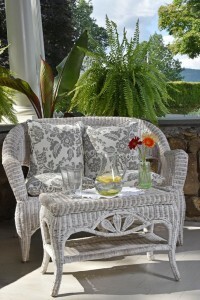 I truly love that part of my job as an innkeeper is to shop for and buy beautiful antiques to decorate. I love that almost as much as I love good chocolate! And the oblong valley reaching over to Rhinebeck from our opposite end is filled with wonderful antiques and chocolate too. in the antiques show management arena for over 21 years, the atmosphere is open and professional. Some of the best dealers from around the region participate in the Barn Star shows. So whether you’re going to outfit a Bed and Breakfast, snooping for inspiration, or just have a great time seeing exquisite Americana, I suggest you book us up and make a weekend of it. Barn Star at Rhinebeck’s $10 entry holds good for the entire weekend, so you can go out and leaf peep, walk across the Hudson, take in a meal at the Culinary Institute in Poughkeepsie, visit the Roosevelt Library, go back and look some more, or come home and flop on the new veranda. Love to see you at Hilltop House. 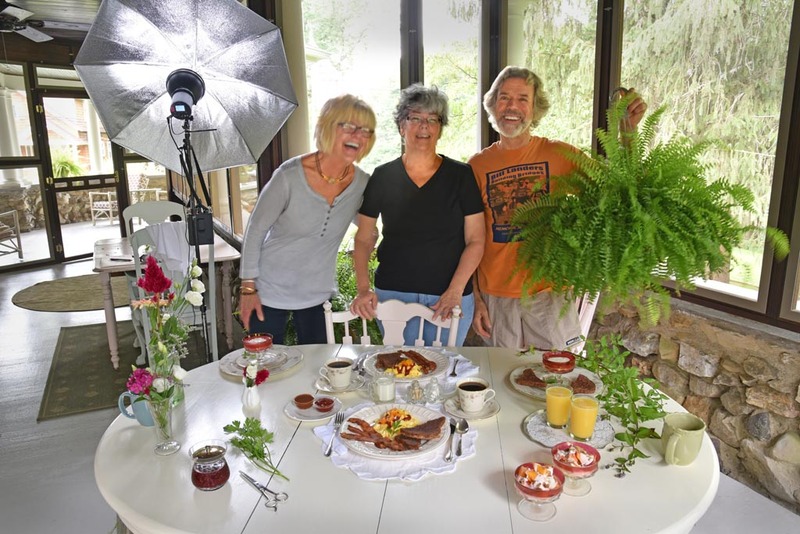 Peter and Nancy Billard work in tandem photographing bed and breakfasts. Nancy styles and assists, Peter arranges lighting and shoots, and they both keep a sharp eye on the total package details. That’s me in the middle with Nancy and Peter our photography team on the porch. I had the pleasure of working with them over the course of a few days in August, and it was enlightening to see how they worked. Many photos start with a series of test shots, then progress into tweaking and finessing until it’s just right. One of my favorite spots on the porch. Nice huh? It was great fun and lots of work, and over the next few weeks we’ll get all of Peter and Nancy’s www.peterbillardphoto.com images up on the web. I feel like I’ve had a face lift along with Hilltop House!